Gaussian blur filter can be adjusted in 0.1 increments – allowing more subtle blurs. 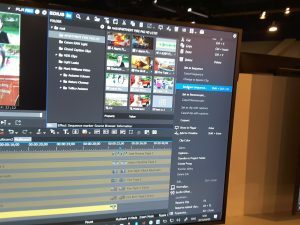 Multicamera “workflow improvement” which it appears is code for syncing camera angles based on the sound. 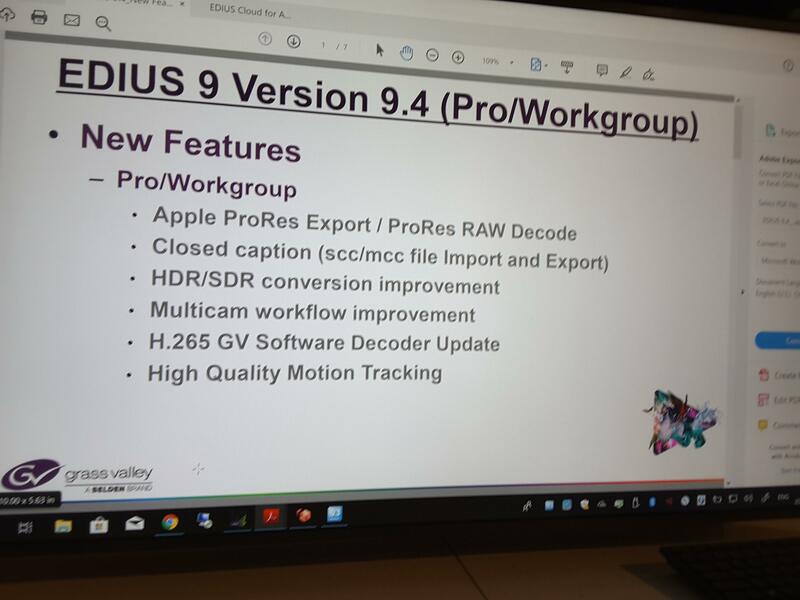 Pat Snipes from Grass Valley says this may not make it into the May release on the forum but posted it on a screen shot of the program – again attached to this post. 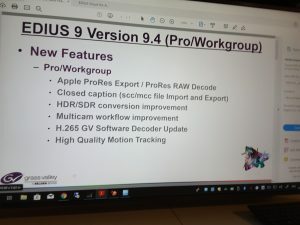 This is a nice set of updates – maybe not the revolution that Blackmagic has promised although when it is released everything in EDIUS 9.4 will actually work. 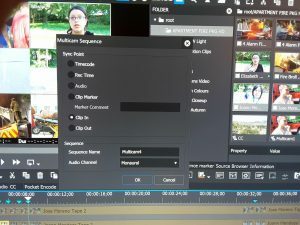 ProRes export is a huge addition and one I have been asked for a lot. The fact that Adobe and now Grass Valley can do this must mean some kind of change on the Apple side. There has been no mention of this being added to Resolve or Avid. 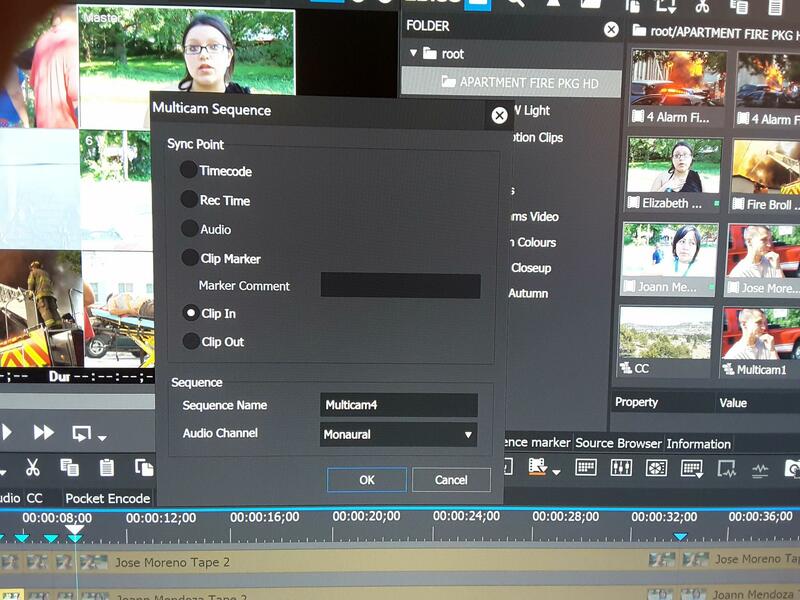 ProRes export is not something that I thought I really cared about since I don’t personally deliver to broadcast. However, it was recently added to Premiere and After Effects and I found myself using it quite a lot. 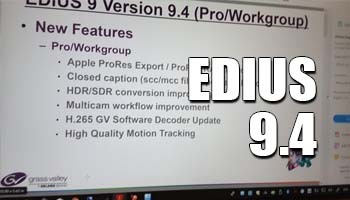 I transfer clips between AE, EDIUS, Resolve and other programs, and ProRes is a format they all support properly. 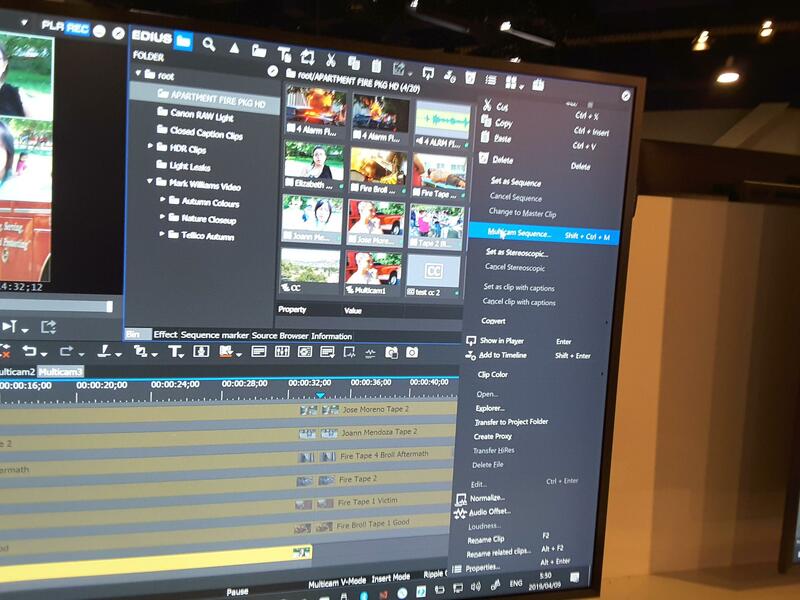 Theoretically, Grass Valley AVI files will load into Premiere properly but sometimes they don’t – interlace files have fields the wrong way or, as happened recently, a major Adobe update meant that projects with GV AVI files did not load at all. The latter was an Adobe problem – they loaded in new projects just not old ones – but Adobe were not interested in doing anything about it. They will be interested in making sure ProRes files work properly! It just gives us a codec that everyone should support properly, both now and in the future. I will post more about the 9.4 update in the future and will make some videos showcasing the new features when it is actually released.